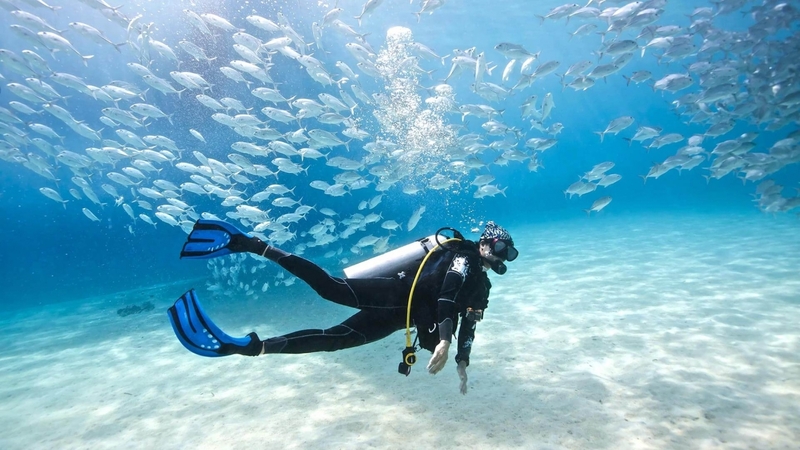 Some dive centers offer trips to dive sites Teluk nara and Kecinan, also known as muck dives. Here it is about slow and generally shallow dives, where the interest is more about macro. From 5 meters to 18-20 meters deep the topography is quite simple : sand and a few hard corals or old abandoned barrels. But it is on this kind of decor that some quite rare species like to hide themselves. Take time to watch meter by meter and maybe you will find crabs, crocodile fish, lionfish, shrimp or ornate ghost pipefish, seahorse, frogfish, bluering octopus and nudibranch. Among the favorites dive sites for experienced divers and photographers, Teluknara and Kecinan require a mastery of boyancy and a good finning technique to avoid disturbing the sand, but is still accessible to all level of certification.